Home News Man got pregnant and gave birth to his daughter because his wife could not get pregnant! Man got pregnant and gave birth to his daughter because his wife could not get pregnant! A while back the news of a pregnant man who eventually gave birth to his child made headlines. The man has now revealed how he carried and gave birth to his daughter and the reason he did that. Chris Rehs-Dupin, 33, made for a unique sight when he sported beards and a protruding belly that could not simply be explained off as a beer belly. He carried the pregnancy to term, gave birth and even breastfed her and his reason for going through all that is because his wife could not fall pregnant. Chris had been born a female, Christina. He then met his wife Amy, 33, when they were both in their 20s and working at a children's summer camp and they fell in love immediately. They got into a civil partnership in October 2012 and legally married in 2013 then decided they wanted a family. The plan was for Amy to be the biological mother but after five attempts of intrauterine insemination failed, Chris, who was at the time a pre-op transgender, volunteered to carry their child. After five rounds of IUI treatment using sperm from an anonymous donor and a miscarriage, he finally gave birth naturally on December 20, 2014, to a girl named Hayden. Speaking on their unusual arrangement, Amy said: "There was no question who would carry the baby. I couldn’t wait to be pregnant." But things didn't work out as hoped and they improvised. 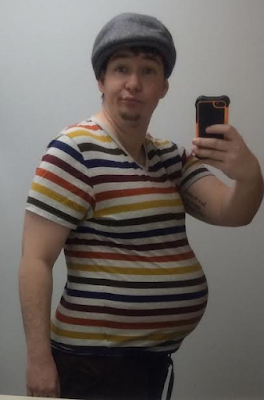 Hormones released during the pregnancy made Chris' breast to begin growing again after years of binding them flat and he did not like that bit. Amy tried to breastfeed after the baby was born by taking drugs that will stimulate her body into producing breast milk but the milk was not sufficient so, eventually, Chris had to breastfeed. 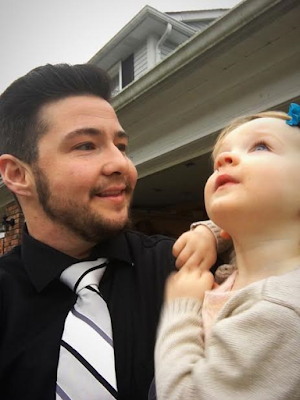 Being pregnant made Chris more certain than ever that he wanted to complete his transition to become a man. He also wanted to fully transition so as to be an example to his daughter by letting her know she shouldn't be afraid to be who she is. “I knew it would make me a better and a happier person, a whole person, to start a medical transition. When my daughter came I knew I didn’t want her to be afraid of who she is and it’s important for me to model that behaviour,” he said. 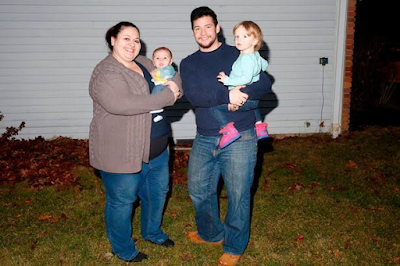 Having Hayden made Amy even more determined to carry a baby herself so since there was no medical reason why Amy could not conceive, they decided to try again. 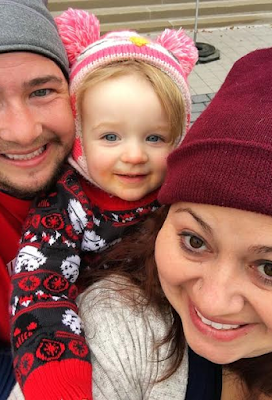 In January 2016 Chris started his medical transition and Amy became pregnant in the same month, on her first attempt. She finally gave birth to another child, Milo, via caesarean section. “When I was the pregnant one, because I had a husband who had been there before, it was different. He understood what I was going through, what I was feeling. It was a benefit that not a lot of women have,” Amy said. Chris will love to have another child and does not rule out the possibility of carrying it himself. Amy, on her part, is simply happy with the family they have and is pleased that Chris is in a good place and feels happy in his skin. “We would love to have a third child. I hope to have breast reconstruction surgery, but will not have a bottom surgery, or have my ovaries removed, so I haven’t ruled out carrying it. We’ll have to fight over it this time," Chris said. “We’ve been on an incredible journey as a family, but we have two amazing kids and Chris is finally happy in his own body,” Amy added.